New iMac Reviews- Is One the Computer for You? Before we get started with the core of the review, here is an overview for you to take into consideration. We understand that you probably want more than one opinion, before deciding to dish out over a grand for a new computer. The iMac is a solid computer, there’s no arguing that. Experts have given the iMac their seal of approval. and consumers have expressed an overall great satisfaction rate with the new iMac. As noted above, iMacs come available in two major screen sizes: 21.5-inch and 27-inch. Both versions offer the newer, brighter LED technology vs. the older LCD panels. One note, the 27-inch iMac has more pixels, better resolution, and higher brightness than the 21.5-inch little brother. This all amounts to a sharper, slightly better display. However, the 21.5-inch monitor is a respectable monitor. Out of the other 20-inch to 23-inch monitors on the market, the iMac display is good to say the least. The latest iMacs add a notable feature from previous iMacs, which is a smaller gap between the bottom of the actual screen and the bottom of the computer. With previous iMacs, there was a noticeable gap (where the Apple logo is). With this 22% cut, there is more room used for the actual screen, and less wasted space towards the bottom of the computer. This gives the new iMac a much more minimalistic look. In fact, if you were to get rid of the Apple logo, many people may even mistake the new iMac as being just a screen, and not even know that it’s a computer as well. As far as expandability, the new iMac screens are not as limited as you may believe of an all-in-one. For example, you can hook a laptop up to the iMac, which will override the default computer and use the iMac screen as a second display. If you are the gaming type, you can hookup a console to the iMac, and use the screen as a gaming tube. Watching videos and movies on the iMac screen is comparable to that of an LCD television. With the exception of the screen, black screen bezel, and a couple other minor pieces, the iMac is basically full aluminum. This makes for a more rigid, solid, and sturdy design vs. traditional "plastic" computers and computer monitors. Now, don’t be mistaken. Many people overestimate the strength of aluminum. Apple does make the claim that they use aluminum in their computers to give them a stronger build, which is true. However, if you were to drop one of the aluminum MacBooks on the ground, from any height beyond a couple of feet, it most certainly will dent, bend, etc… The same thing goes for the iMac. If this thing falls of your desk, it’s probably not going to walk away without damage. Even so, all aluminum build does add to the strength of the new iMacs. More importantly is the look that all aluminum brings to the iMac. Previous versions of the iMacs had a black plastic back (rear screen). The new iMacs have an aluminum back, which gives a sleeker, more refined look in my opinion. The back of the new iMacs seem to wrap around the computer. On the back panel of the new iMacs, you will find a Mini DisplayPort, a FireWire 800 port, four USB 2.0 ports, audio in/out ports, and ethernet. The power plug also connects to the back of the new iMacs. 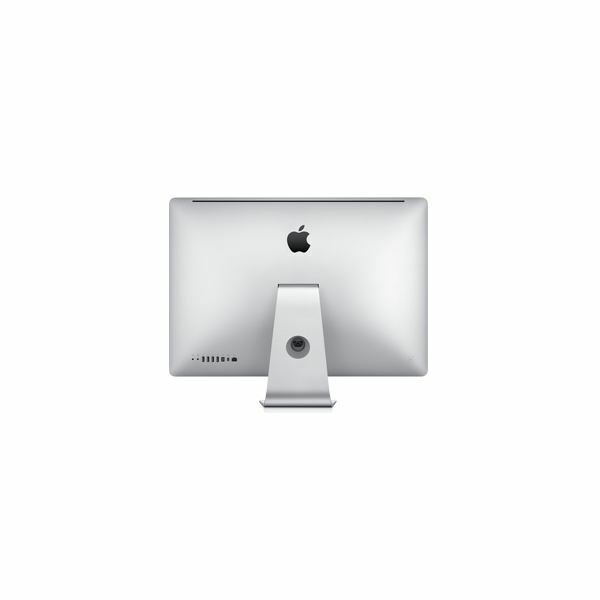 As far as hardware, the base 21.5-inch iMac gives you a 3.06GHz Intel Core 2 Duo Processor, 4GB RAM memory, 500GB hard drive, 8x Super Drive DVD burner, and Nvidia GeForce 9400M graphics. The higher end 21.5-inch model gives you 500GB more hard drive space (1TB), and and a better graphics card, ATI Radeon HD 4670. 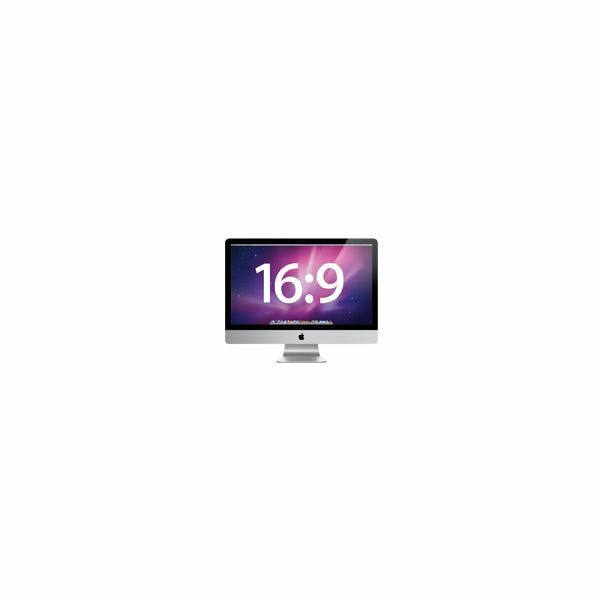 The base 27-inch iMac gives you a 3.06GHz Intel Core 2 Duo Processor, 4GB RAM memory, 1TB hard drive, 8x Super Drive DVD Burner, and ATI Radeon HD 4670 graphics. Finally, the higher end 27-inch iMac gives you a better 2.66GHz Core i5 processor, and a better graphics card, ATI Radeon HD 4850. Now, these specs are not by any means "top of the line." However, they are not "budget computer" specs either. For the price, they could be better. Expect Apple to release an update to these specs, especially the processors, in the near future. One thing that many people forget to take into consideration, when judging the iMac, is the fact that it’s a computer as well as a screen… an all-in-one. Although the prices are steep, they are not outrageous. For example, the base 21.5-inch iMac retails for $1,199. A Dell Studio Desktop (4GB of RAM, Core 2 Duo CPU, 500GB hard drive) with a Dell 21.5-inch monitor will run you close to a grand. The higher end 21.5-inch iMac retails for $1,499. The base 27-inch iMac retails for $1,699. The higher end 27-inch iMac retails for $1,999. The iMac is a great computer. If you choose to purchase one, it is very unlikely that you will be disappointed with your decision. The price is a bit steep, but may be overlooked for the great features that the iMac has to offer.